‘ What Are You Doing Here? charts the journey of my mother from mild confusion to severe dementia, from being cared for at home by my father, to her final years in residential care. I started writing while my mother was still alive, but at that stage I was making notes and writing a few short pieces, with no intention of writing a book. I was trying to understand what was going on in my mother’s brain, and more importantly, how the world must have seemed to her as the disease progressed. 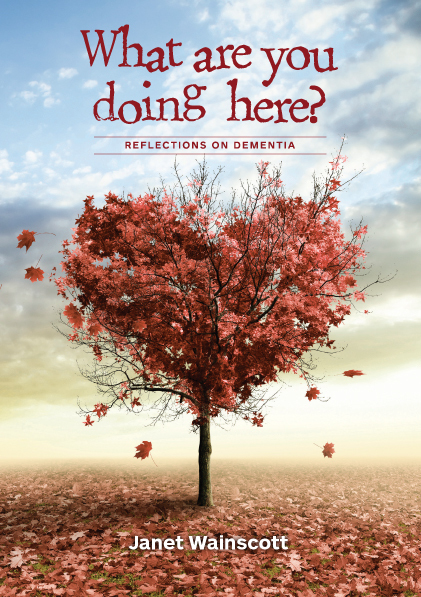 ‘What Are You Doing Here?’ is more than a memoir; it is an unsentimental but compassionate account of dementia that draws on interviews with other family caregivers and incorporates my own reflections about dementia. It is not a handbook of practical advice for caregivers. Rather, it is about how dementia affects people and how we respond to it. It’s a book for anyone who is interested in memory, ageing, family relationships, and how we look after some of the most vulnerable members of society. The initial print run has sold out. Copies are available in most New Zealand public libraries.